It all started so positively. The prospect was excited to talk after they filled out the “I’d like more info” link on your site. They asked you tons of questions about your product. They couldn’t wait to see the demo and they loved what the saw. They asked about price and asked for a proposal, which of course you sent right away. They stopped asking questions about features and pricing. You made yourself useless. You gave them all the information they wanted, but not all the information they needed. And the problem is that as soon as your prospect thinks they have all of the information they need, they think they don’t need you anymore. The prospect was so nice early in the sales process because they needed information and you’re the one that could give it to them. The worst part? They don’t have all of the information they actually need to make the right decision to solve their problem. That one-pager with screenshots and bullet-pointed feature list? Even if they do share it with the team, anyone spending more than three seconds on it is only looking for the features that are missing. That pricing question you answered? What you gave them was really just a range because there are all kinds of variables that affect price –how many users, the version they need and how much help they need with implementation. That product demo you showed? At least half the features you showed didn’t even matter to the prospect, but you don’t know which half, so you showed all 76 clicks all the way down to how to change the background colors of the text boxes, hoping that one of them would be the one that sealed the deal. That proposal you drafted? Most of what you wrote was guesswork because you didn’t talk about implementation, integrations, training, or timing. As the salesperson, you have to control the conversation. You have to control which information is shared and when to share it. Your prospects are coming to you because they have a problem, but just like a patient visiting a doctor – they only know the symptoms. You’re the expert in solving their problem. You’re the one that can uncover the root cause for the what ails them. Instead of answering every question about the feature set, ask them about their workflow and the outcomes they want to achieve. Instead of giving the harbor tour, learn about the prospect’s critical business issue and focus the demo on only those features that matter. Instead of sending a proposal, build an implementation plan that details every step along the way after they sign the contract. Now, you might be saying – “Yeah but sometimes prospects don’t want to answer questions. They won’t tell us about the key business problems. They won’t let us talk to their IT team about integrations, or their Vice President about pricing or their Risk Officer about security and stability questions. Yeah. Those prospects were never really prospects. They’re tire-kickers, buyer vampires, gatekeepers, or managers that run teams but don’t make purchasing decisions. 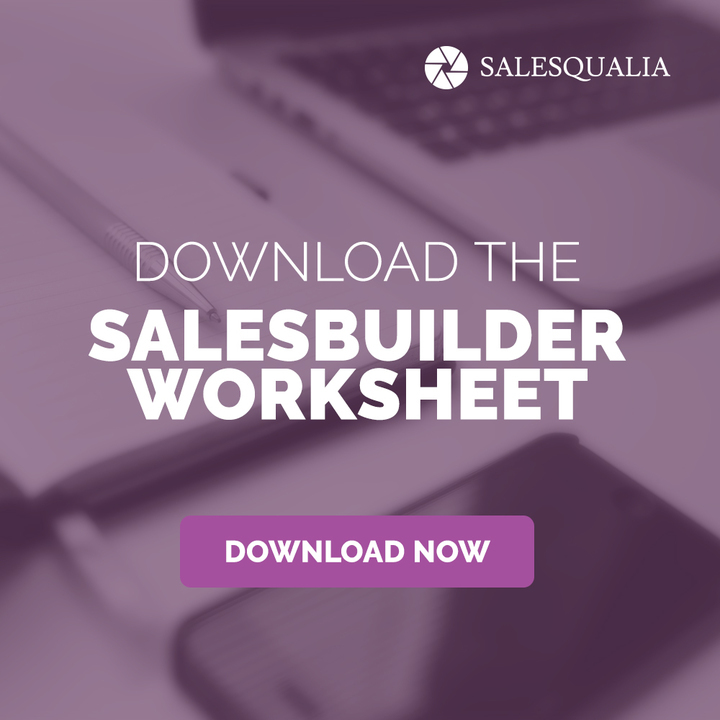 An enterprise sale is never a just a transaction – it’s a collaboration, it’s a partnership, it’s really just a big implementation project that you and your prospect are working on together. As the project manager, it’s your job to decide which information is important to know about them, and what they need to know about your product. Create collaboration, control the flow of information and build cooperation into your selling process. If they’re not willing to collaborate, cooperate, and follow your lead, they were never qualified in the first place. Be the leader your prospects need you to be. 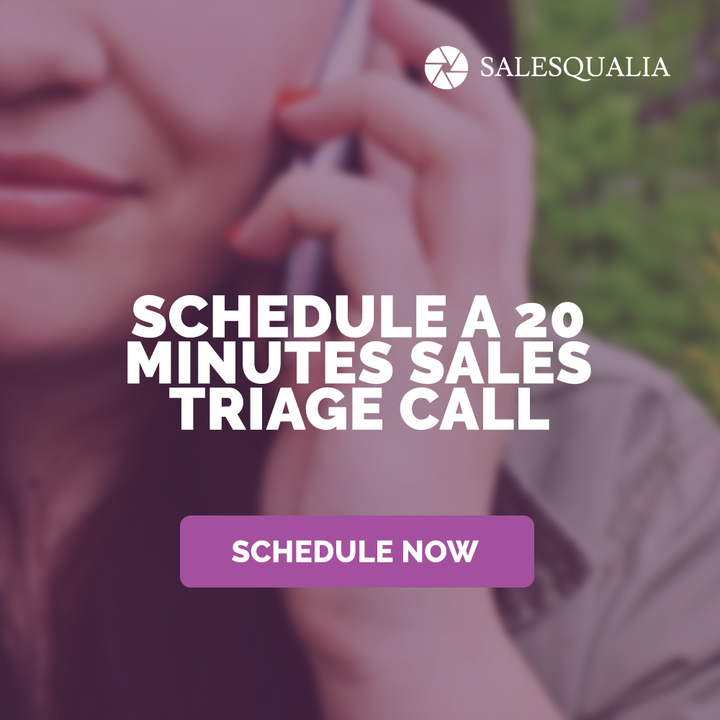 Want a little help with your sales? 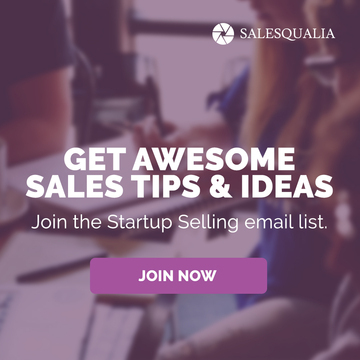 Got a gnarly question or just want to jam on a touch sales problem? Let’s work on it together at my next Live Sales Q&A. Bring your questions prospecting, lead qualification, pipeline pull-through, pricing, hiring your sales team, sales metrics, or anything else you need to figure out to help you grow and scale your startup. Click here to grab your spot.